Eating healthy foods will help you to boost your immune system, but what if it’s the foods themselves making you sick? Foodborn illness can cause food poisoning and a variety of other more dangerous diseases, so they are a real threat to our bodies. Luckily, there are a number of things you can do to prevent foodborne illnesses. Following safety tips when handling, preparing, and storing food is very important. First and foremost, you should be concerned with the temperature of your foods. When cooking meat, make sure to use a thermometer in order to make sure that you meat is reaching to proper temperatures inside. Some meats, like beef, can be served rare safely, but proper temperatures are crucial. This kills any bacteria that may be growing on the meat. In the case of burger and other loaf meats that have been ground and formed into patties, you should not eat rare meals. The bacteria then easily is found inside the meat as well as on the outside, and you are at risk if you do not cook these meats for a long period of time to kill any bacteria. 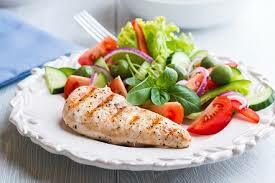 After your food is cooked, you should continue to monitor temperature. Simply put, keep hot foods hot and cold foods cold. Hot foods should be kept at temperatures above 140 degrees Fahrenheit, while cold foods should be kept at temperatures below 40 degrees Fahrenheit. The range between that is where bacteria can grow. When letting food cool for refrigeration, place in the refrigerator after no more than two hours, and when thawing meals, do so in a bowl or pan in the refrigerator, rather than at room temperature. Cross contamination is a huge culprit when you are concerned with preventing illness and your food. Cross contamination is basically the moving of bacteria from one dish to another. This happens when you use dirty cutting boards, don’t wish your dishes properly, and use the same utensil for all of your foods. If you use, for example, a knife to cut raw chicken and then use that same knife to cut your food after it has been cooked, some of the bacteria from the raw chicken has probably remained on the knife, which can make you very ill. Make sure that you are using a clean work space and clean tools whenever you cook. Along with using a clean environment, you should make sure that you are washing you hands regularly. Every time you touch raw foods, you should use disinfecting hand soap and hot water to make sure that no bacteria remains on your hands. Making sure that your food is safe is one of the most important parts of healthy eating, so don’t overlook this step the next time you prepare a meal. 0 Response to "Prevention for Healthy Eating "